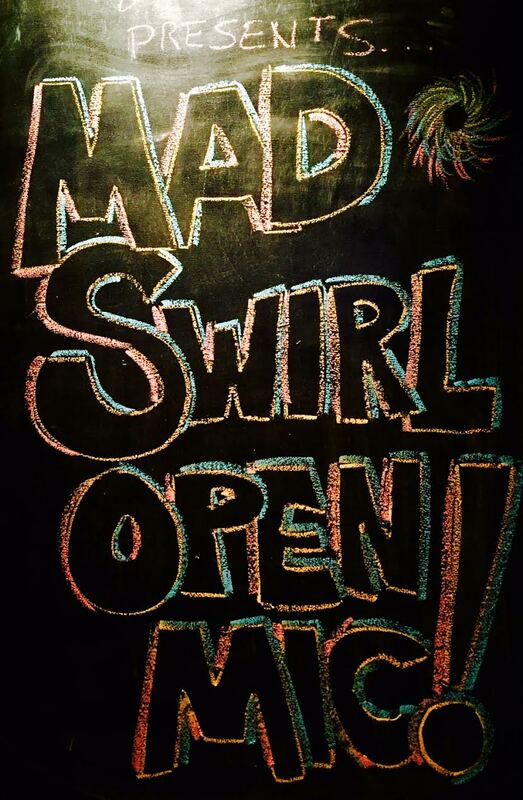 If your New Year’s resolution was to create more madness in this world, well you mad ones did it this past 1st Wednesday at our first open mic for 2017! HUGE thanks to Swirve (Tamitha Curiel, Gerard Bendiks & Chris Curiel) for taking us to another dimension of time and space on the wings of their jazzy madness! Thanks to all who came out to the City Tavern & shared this beat-utifullest night of poetry and music with us! Thanks to The City Tavern’s proprietor Joshua Florence for blessing us with our new digs and welcoming us mad ones with open arms and giving us a swirl’n space we can call home.